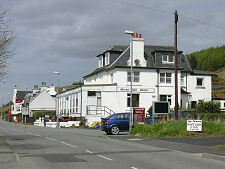 The village of Dunvegan lies on the east side of the head of Loch Dunvegan, which bites deeply into the Isle of Skye from the north west, turning the area known as Duirinish into a peninsula. 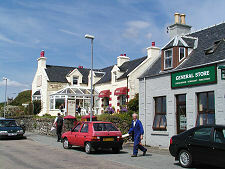 Today it is the largest village on Skye that doesn't stand on the island's east coast. 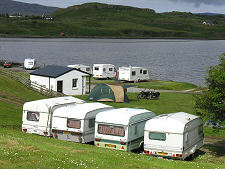 Today's Dunvegan serves as a focal point for north west Skye, offering village shops as well as a choice of hotels, guest houses, B&B: plus a beautifully located campsite at the head of Loch Dunvegan and a Tourist Information Centre. 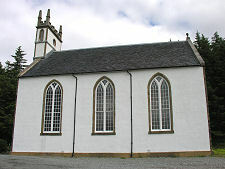 On the village main street is the Giant Angus MacAskill Museum, dedicated to the tallest Scotsman who ever lived. 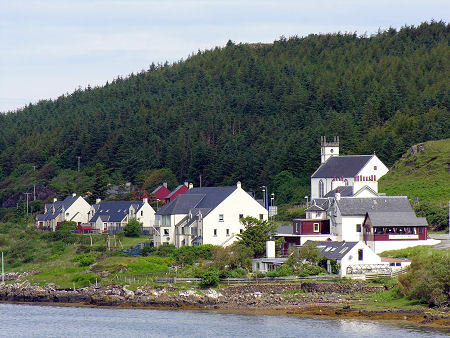 The origin of the name Dunvegan is the source of healthy debate. The first element Dun is a common feature in many names that come from Scottish Gaelic and means fort or castle. The source of the second half of the name, vegan, is less clear. Some have suggested it comes from the Gaelic beagain meaning "few in number" or "small in size". Others believe it comes from the name of a Norse chieftan, Began. On the whole, "Began's fort" seems the simplest and therefore the most likely explanation. 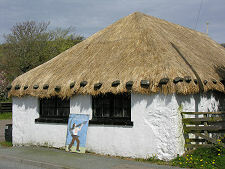 The name was written down as "Dunbegane" in 1498; as "Dunveggane" in 1517; and as "Dunnevegane" in 1553. 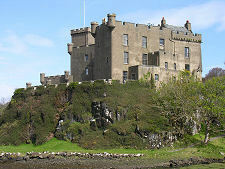 The "fort" in question is very probably a predecessor of Dunvegan Castle, which today stands on the shore of Loch Dunvegan a mile north of the village. Partly dating back to the 1200s, the castle is the ancestral home of the Chiefs of Clan MacLeod and is said to be the oldest residence in Scotland continuously occupied by the same family. 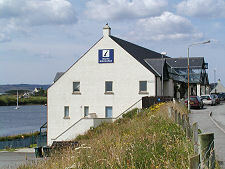 The road that runs past Dunvegan Castle continues as far as a parking area at Claigan. 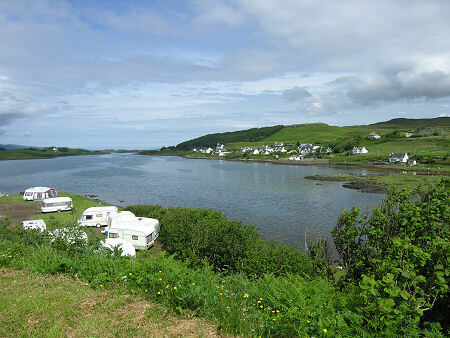 From here it is only a short walk to the amazing coral beaches looking west over the mouth of Loch Dunvegan. Looking at Dunvegan today it is difficult to imagine it as a significant port. But in the 1890s it was a stopping off point for many of the steamers to the Western Isles, and it also had a daily service to Oban. The last steamers departed in the 1950s, leaving a sheltered anchorage frequented by yachtsmen. 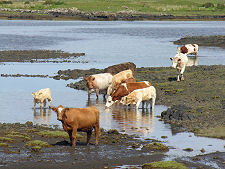 And, somewhat oddly, by the cows that seem to be in the habit of bathing where the Osdale River flows into the head of the loch. 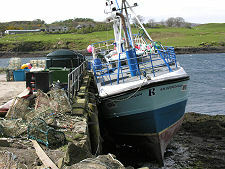 Todays Dunvegan Pier projects into Loch Dunvegan about half a mile north of the village and remain the base of a few fishing vessels. 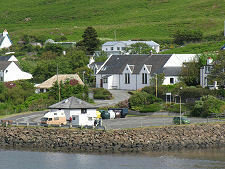 The views from the village are dominated by Healabhal Mhòr, the more northerly of two "Macleod's Tables" lying in the heart of the Duirinish peninsula. This is a flat-topped mountain, and it is said that when the clan chief particularly wanted to impress a visitor he held a banquet on the mountain top, surrounded by clansmen carrying torches. At a height of 469m, it must have been a chilly experience.